When a deadly satellite weapon system falls into the wrong hands, only Agent 007 can save the world from certain disaster. 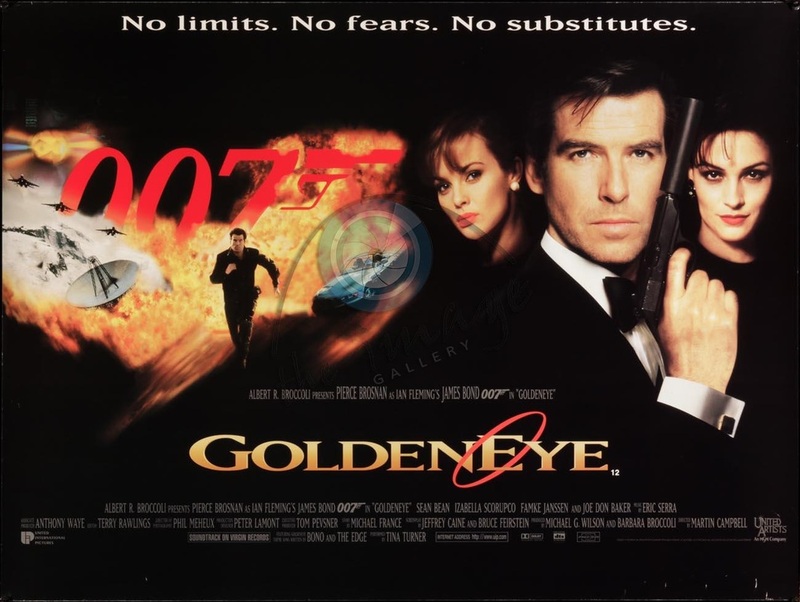 Armed with his license to kill, Bond races to Russia in search of the stolen access codes for "Goldeneye," an awesome space weapon that can fire a devastating electromagnetic pulse toward Earth. But 007 is up against an enemy who anticipates his every move: a mastermind motivated by years of simmering hatred. Bond also squares off against Xenia Onatopp, an assassin who uses pleasure as her ultimate weapon. This film features the highest bungee jump from a structure in a movie. The drop was over 722 ft. The man who did the jump later has a cameo as the black-haired Tiger helicopter pilot shot by Onatopp. Title Song by Tina Turner "Goldeneye"
"I might as well ask you if all those vodka martinis ever silence the screams of all the men you've killed... or if you find forgiveness in the arms of all those willing women for all the dead ones you failed to protect."